Habi Arts » Get Up! Stand Up for Human Rights! The Filipino Arts and Justice Forum is calling for all artists, human rights advocates, concerned groups, and individuals to participate in the Get Up! Stand Up for Human Rights! Project in commemoration of International Human Rights Day 2010. The project is a three-month series of art-making and educational workshops about human rights starting September – December 2010. Selected art works created from these workshops will be part of a large multi-media art exhibit at the Center for the Arts, Eagle Rock from January 14, 2011 – February 5, 2011. 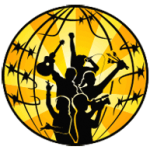 The Filipino Arts and Justice Forum is a broad coalition that brings together Habi Arts (habi-arts.org), SiGAw! (sigawla.tumblr.com), and other affiliated organizations, individuals, and artists in Los Angeles who unite to address human rights through art. Applications are due by October 15, 2010. Early applicants get priority for workshops. Please continue reading below or download the more detailed Project Description, Application, and Workshop Descriptions. Get Up! 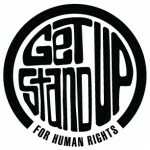 Stand Up for Human Rights! Project is a collaboration of multi-media artists and the community to create awareness, advocacy, and support for human rights issues facing the Filipino community, such as the rights of immigrants, workers, and women, as well as the grave human rights violations continuing in the Philippines. In this workshop, participants will learn how to explore a concept and create a performance art piece through movement, theater exercises, and reflection. The workshop will touch upon the themes of violence against women, colonialism, and identity issues. Participants will have the opportunity to collectively discuss the development of their ideas and give input on the performance art pieces. All are encouraged to dress comfortably for the workshop. The purpose of this workshop is to introduce participants to the first two stages of making a simple, low-budget video documentary, pre-production and production. Attendees will be introduced to audio-visual art through a brief discussion of the history of film. They will learn how to conceptualize a project, read/write a script, and gather the necessary equipment to start the actual videotaping or the editing of video footage. They will also become familiar with basic production equipment and camera techniques useful in making documentaries. Along with these cultural and technical skills, the workshop also interweaves an educational discussion on immigration by giving the participants’ an opportunity to reflect on their own experiences and knowledge on this issue. This workshop introduces non-linear editing in Final Cut Pro and basic skills to create a short documentary about a family member or a friend’s experiences as an immigrant. Participants will be sharing what they have learned from their subject(s) and will reflect on their role in the history of migrants in the US. Each participant will be expected to have some footage to work on during the session. Out of the womb and into the box of what society considers “normal.” The stifling labels and expectations forced upon us to fit the description of a boy or a girl strips us of our basic right to identify with, and express our gender and sexuality as we feel truly fits who we are. What happens when these rights are taken from us – when we are forced to be something we are not, or our lives are cut short by hateful ignorance? Explore the beauty in the depth and vastness of our sexualities through the art of stenciling. Find the thread that binds us together in our common struggles for the liberation of our people. Photography Workshop: What does human rights mean through the eye of the lens? Workshop will include basic and documentary photography, trends in photojournalism, photo editing, digital file management, photo story and photo essay development, wire agency photography, design and layout and basic writing for photographers. There will also be guided practical assignments within the nearby communities. After the workshop, participants will be equipped with a better understanding of the roots and current trends of photojournalism and will have a better appreciation of the artistic, aesthetic and ethical practices of the industry and the profession. In this workshop, participants will learn about and participate in the creation of a collective mural. The workshop will introduce the process of conceptualization, basic design and illustration techniques, the collective process, and other skills and concepts necessary to make an effective political mural. Through the process of mural making, we will explore issues of the grave human rights violations happening in the Philippines. Why are there extrajudicial killings, disappearances, and torture? Who are they targeting and why? What are the boundaries that keep us from telling our stories? How is information filtered through the media? Why is it that most of us are not aware of the human rights violations happening in the United States and in the Philippines? Why is fear, censorship, and misinformation keeping us from these realities? In a time of increased state repression around the world, people’s rights to express dissent and criticism are being threatened. In the Philippines there is an increase of human rights violations targeting mostly activists and those critical of the Philippine government. In the United States, the recent FBI raids on peace activists indicate that activists and concerned citizens in the U.S. are not exempt from harassment and repression. This workshop will explore issues of repression of civil and political rights, threats to our freedom of expression and the right to dissent. We will discuss various styles and approaches to poetry, the use of language and voice, elements of form, and create poems that push the boundaries of both form and content. If you want to defend our rights to freedom of expression and prevent the further encroachment upon our rights, let your voice be heard and answer back with poetry! Craft a poem, heal a community. We will explore the creation of poems that observe the world at the same time recognizing that we can make an impact to change it. The workshop would be physical in nature, using large pieces of scrap paper, string, markers, our bodies, to draw out maps of potential poems.